Cap badge of the Corps of Royal Engineers. The Corps of Royal Engineers, usually just called the Royal Engineers (RE), and commonly known as the Sappers , is one of the corps of the British Army. The structure of the British Army is broadly similar to that of the Royal Navy and Royal Air Force, in that the four-star (general-equivalent) field commands have been eliminated. Army Headquarters is located in Andover, Hampshire. As the top-level budget holder, this organisation is responsible for providing forces at operational readiness for employment by the Permanent Joint Headquarters. There is a Commander Field Army and a personnel and UK operations command, Home Command. The Chief Royal Engineer (CRE) is the official head of the Corps of Royal Engineers of the British Army. 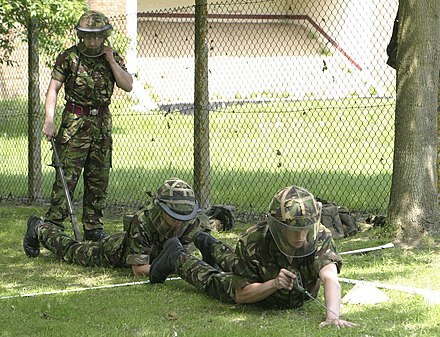 The Royal School of Military Engineering (RSME) Group provides a wide range of training not only in all the engineering disciplines that are fundamental to the Royal Engineers, but also Military Working Animals; their handlers and maintainers, Explosive Ordnance Disposal and Military Musicians. The scope of training delivered by the RSME Group ranges from combat engineers to Army musicians, chartered engineers to veterinary technicians and bomb disposal operators to heavy plant operators. Gundulf was a Norman monk who went to England following the Conquest. He was appointed Bishop of Rochester and Prior of the Cathedral Priory there. 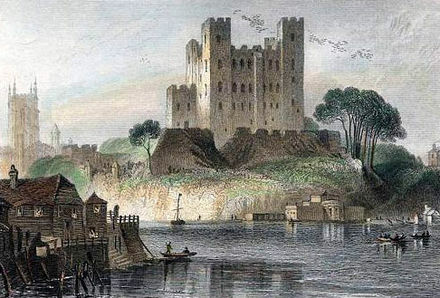 He built several castles, including Rochester, Colchester and the White Tower of the Tower of London and the Priory and Cathedral Church of Rochester. Woolwich is a district of south-east London, England, within the Royal Borough of Greenwich. Originally a town in Kent, it has been part of the London metropolitan area since the 19th century. In 1965, most of the former Metropolitan Borough of Woolwich became part of Greenwich Borough, of which it remains the administrative centre. Gibraltar is a British Overseas Territory located at the southern tip of the Iberian Peninsula. It has an area of 6.7 km2 (2.6 sq mi) and is bordered to the north by Spain. The landscape is dominated by the Rock of Gibraltar at the foot of which is a densely populated town area, home to over 30,000 people, primarily Gibraltarians. The following battle honours were awarded to units of the British Army and the armies of British India and the Dominions of the British Empire. From their institution until the end of the Second World War, awards were made by, or in consultation with, the British government, but, since 1945, the individual countries of the former British Empire have awarded battle honours to their forces independently. A motto is a maxim; a phrase meant to formally summarize the general motivation or intention of an individual, family, social group or organization. Mottos are usually found predominantly in written form, and may stem from long traditions of social foundations, or from significant events, such as a civil war or a revolution. A motto may be in any language, but Latin has been widely used, especially in the Western world. The Commander-in-Chief of the Forces, later Commander-in-Chief, British Army, or just the Commander-in-Chief (C-in-C), was the professional head of the English Army from 1660 to 1707 and of the British Army from 1707 until 1904. The Royal Arsenal, Woolwich carried out armaments manufacture, ammunition proofing, and explosives research for the British armed forces at a site on the south bank of the River Thames in Woolwich in south-east London, England, United Kingdom. It was originally known as the Woolwich Warren, having begun on land previously used as a domestic warren in the grounds of a Tudor house, Tower Place. Much of the initial history of the site is linked with that of the Board of Ordnance, which purchased the Warren in the late 17th century in order to expand an earlier base at Gun Wharf in Woolwich Dockyard. Over the next two centuries, as operations grew and innovations were pursued, the site expanded massively; at the time of the First World War the Arsenal covered 1,285 acres (520 ha) and employed close to 80,000 people. Thereafter its operations were scaled down; it finally closed as a factory in 1967 and the Ministry of Defence moved out in 1994. Today the area, so long a secret enclave, is open to the public and is being redeveloped for housing and community use. 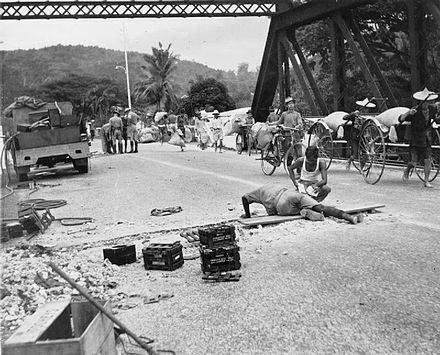 Combat Engineers prepare a bridge for demolition in Malaya. Combat Engineers of 20 Field Squadron, 36 Engineer Regiment practice landmine clearance. TROJAN AVRE with Full Width Mine Plough and Fascine. HQ Royal School of Military Engineering. Rochester Castle from across the Medway. Engraving from image by G.F. Sargent c1836. The Ravelin Building at the Royal School of Military Engineering, Chatham, is now home to the Institution and the Corps Museum. To provide financial and other assistance to serving and former members of the Corps, their wives, widows and dependants who are in need through poverty. To make grants, within Association guidelines, to the Army Benevolent Fund and to other charities which further the objectives of the Association. 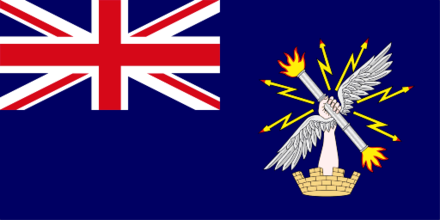 Un-defaced Blue Ensign flown by members of the REYC. Main article: Royal Engineers A.F.C. The club was founded in 1863, under the leadership of Major Francis Marindin. Sir Frederick Wall, who was the secretary of The Football Association 1895–1934, stated in his memoirs that the "combination game" was first used by the Royal Engineers A.F.C. in the early 1870s. Wall states that the "Sappers moved in unison" and showed the "advantages of combination over the old style of individualism". 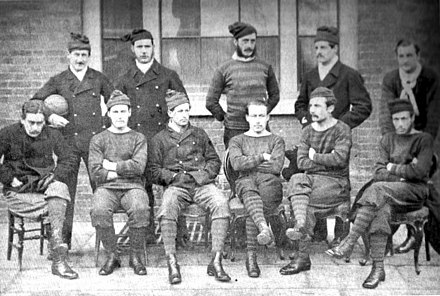 The Engineers played in the first-ever FA Cup Final in 1872, losing 1–0 at Kennington Oval on 16 March 1872, to regular rivals Wanderers. They also lost the 1874 FA Cup Final, to Oxford University A.F.C..
Several units have been formed from the Royal Engineers. Rochester Cathedral, Kent has major historical links with the Corps and contains many memorials including stained glass, mosaics and plaques. The cathedral hosts services on the annual Corps Memorial Weekend and is supported by the Corps on Remembrance Sunday. Bermuda Volunteer Engineers, a territorial unit that replaced the Regular Army RE companies of the Bermuda Garrison in 1930. Disbanded 1946. The Royal Corps of Signals is one of the combat support arms of the British Army. Signals units are among the first into action, providing the battlefield communications and information systems essential to all operations. Royal Signals units provide the full telecommunications infrastructure for the Army wherever they operate in the world. The Corps has its own engineers, logistics experts and systems operators to run radio and area networks in the field. It is responsible for installing, maintaining and operating all types of telecommunications equipment and information systems, providing command support to commanders and their headquarters, and conducting electronic warfare against enemy communications. The Canadian Military Engineers (CME) is the military engineer branch of the Canadian Armed Forces. Members of the branch who wear army uniform comprise the Corps of Royal Canadian Engineers. The South African Army Engineer Formation is the controlling entity of all South African Army military engineering units. The Formation is currently commanded by the General Officer Commanding (GOC); Brigadier General D.W. Nkosi, as of early 2013. The Corps of Engineers of the Indian Army has a long history dating back to the mid-18th century. The earliest existing subunit of the Corps dates back to 1777 while the Corps officially recognises its birth as 1780 when the senior most group of the Corps, the Madras Sappers were raised. 23 Parachute Engineer Regiment is a Royal Engineers regiment in the British Army that was formed in 2003. It provides engineer support to 16 Air Assault Brigade in both the parachute and air assault role. The regiment is currently based at Rock Barracks just outside Woodbridge in Suffolk and consists of three regular squadrons and one Army Reserve squadron. As part of 16 Air Assault Brigade it can be called upon to deploy on operations across the globe at extremely short notice. 35 Engineer Regiment is a unit of the British Army’s Royal Engineers under operational command (OPCOM) 8th Engineer Brigade, Force Troops Command. The Unit provided close support engineering under operational control (OPCON) to 20th Armoured Infantry Brigade. It is now an Explosive Ordinance Disposal and Search unit. It is located in Wimbish. 101 Engineer Regiment is a regiment of the British Army's Royal Engineers. Under Army 2020 Refine, the regiment moved from a hybrid regiment to a reserve EOD&S regiment with the regimental headquarters established in Catford. It is part of 29 EOD & Search Group, 8 Engineer Brigade. The Honorary Colonel of the regiment is Col Jools Holland. 26 Engineer Regiment RE is a regiment of the British Army's Royal Engineers. It is based at Swinton Barracks, Salisbury Plain, Wiltshire. The School of Engineers is part of the South African Army Engineer Formation, which provides combat engineering corps training and teaching to military officers and personnel as well as other Military Schools throughout the South African National Defence Force. They are currently the only Military School in Southern Africa to formally present IEDD. 42 Engineer Regiment (Geographic) is a Royal Engineers regiment of the British Army. The regiment, formed originally in 1947, provides field deployable geographic services, including geodetic survey, terrain analysis, information management and dissemination and geospatial intelligence (GEOINT). This is the structure of the British Army in 1989. 135 Geographic Squadron Royal Engineers is the only unit in the Army Reserve to support 42 Engineer Regiment (Geographic), a Royal Engineers regiment of the British Army. The squadron, formed originally in 1948, is a Joint Force Command specialist Royal Engineer unit that provides geographic support to all elements of UK Defence; particularly to Army headquarters, formations and units. The Squadron forms the 4th Sub-Unit within the Regiment assisting in delivering this capability. The structure of the British Army before the reforms from Army 2020. 12 Engineer Group is an engineer formation of in the British Army. 28 Engineer Regiment, Royal Engineers is an engineer regiment of the British Army. 1 2 "No. 18952". The London Gazette . 10 July 1832. p. 1583. 1 2 3 "A brief history of the Royal Engineers" (PDF). The Masons Livery Company. Archived from the original (PDF) on 5 March 2016. Retrieved 30 January 2015. ↑ War Office Circular, 12 May 1859, published in The Times, 13 May. ↑ "Territorial Army 'to be renamed the Army Reserve'". BBC News. 2012-10-14. Retrieved 26 December 2015. 1 2 "The Air Battalion". The RAF Museum. Retrieved 30 January 2015. ↑ "Tunnelling Companies in the Great War". Tunnellers Memorial. Retrieved 30 January 2015. ↑ Kendall, Brigadier A J V (September 1985). ""If You Know of a Better 'Ole, Go to It": The Development of Airfield Damage Repair"" (PDF). The Royal Engineers Journal. 99 (3): 153–onwards. Retrieved 2019-01-02. ↑ Isby and Kamps, Armies of NATO's Central Front. ↑ "Royal Engineers Museum". British listed buildings. Retrieved 30 January 2015. ↑ Smithers, A. J. (1991). Honourable Conquests: An Account of the Enduring Work of the Royal Engineers Throughout the Empire. Pen & Sword Books Ltd. ISBN 978-0-85052-725-4. ↑ "The Royal Engineers: Colonel Richard Clement Moody" . Retrieved 3 November 2016. ↑ Minutes of the Proceedings of the Institution of Civil Engineers, Volume 90, Issue 1887, 1887, pp. 453-455, OBITUARY. MAJOR-GENERAL RICHARD CLEMENT MOODY, R.E., 1813-1181. ↑ "Charles Lucas". Oxford Dictionary of National Biography. 2004. doi:10.1093/ref:odnb/49439 . Retrieved 30 January 2015. ↑ "Royal Albert Hall". Famous Wonders. Retrieved 30 January 2015. ↑ Cotton, Lady (1900). General Sir Arthur Cotton, RE, KCSI: His Life and Work. Hodder & Stoughton. ↑ Scott-Moncrieff, Sir Colin Campbell. The Indian Biographical Dictionary. 1915. ↑ Watson, Ken. "Bye By: The Story of Lieutenant-Colonel John By, R.E. and his fall from grace" . Retrieved 30 January 2015. 1 2 Ingleton, Roy (2012). Fortress Kent. Pen & Sword Military. pp. 115–116. ISBN 978-1848848887. ↑ "Joshua Jebb on Pentonville Prison, London". Elton Engineering Books. Archived from the original on 9 March 2012. Retrieved 31 December 2013. ↑ Fenwick, SC. Boundary Commissions – 1832–1911. Corps History – Part 12: Engineers in a Civic role (1820–1911). Royal Engineers Museum. ↑ "Demonstrations 19 – Limelight". Leeds University. Retrieved 31 January 2015. ↑ Hearnshaw, John (2014). "Abney, William de Wiveleslie". Biographical Encyclopedia of Astronomers. Biographical Encyclopedia of Astronomers. pp. 12–14. doi:10.1007/978-1-4419-9917-7_10. ISBN 978-1-4419-9917-7. ↑ "Woolwich Dockyard Area" (PDF). University College London. Archived from the original (PDF) on 23 June 2015. Retrieved 31 January 2015. ↑ "Chatham Royal Naval Barracks" (PDF). Retrieved 31 January 2015. ↑ "Your guide to the Royal Engineers" (PDF). Archived from the original (PDF) on 3 September 2014. Retrieved 31 January 2015. ↑ "Army life: your guide to the Royal Engineers" (PDF). Ministry of Defence. p. 3. Archived from the original (PDF) on 15 February 2017. Retrieved 16 November 2016. ↑ "12 (Air Support) Engineer Group webpage". ↑ "Force Troops Command Handbook" . Retrieved 28 March 2019. ↑ "Minutes of the 124th Meeting of the Management Committee of the Royal Engineers Association, held in 063 Meeting Room 13, Ministry of Defence, Main Building, London on Thursday 28 January 2016" (PDF). Royal Engineers Association. 16 February 2016. Retrieved 17 November 2018. ↑ "29 EOD & Search Group webpage". ↑ "170 (Infrastructure Support) Engineer Group webpage". ↑ "21 Engineer Regiment". British Army. Retrieved 13 October 2014. ↑ "22 Engr Regt". British Army. Retrieved 13 October 2014. ↑ "23 Engr Regt (Air Assault)". Ministry of Defence. Retrieved 19 December 2013. ↑ "Airborne engineer squadron returns to the ranks". British Army. Retrieved 16 July 2018. ↑ "24 (Commando) Engineer Regiment". Ministry of Defence. Retrieved 31 January 2015. ↑ "26 Engr Regt". British Army. Retrieved 13 October 2014. ↑ "Army Takes Command Of Military's Counter Chemical Team". Forces Net. 1 April 2019. Retrieved 1 April 2019. ↑ "32 Engr Regt". British Army. Retrieved 13 October 2014. ↑ "Bomb Disposal and Search Specialists". British Army. Retrieved 13 October 2014. ↑ "35 Engr Regt". British Army. Retrieved 13 October 2014. 1 2 "Strategic Defence and Security Review - Army:Written statement - HCWS367 - UK Parliament". Parliament.uk. 4 December 2014. Retrieved 16 December 2016. ↑ "MINUTES OF THE 126th MEETING OF THE MANAGEMENT COMMITTEE OF THE ROYAL ENGINEERS ASSOCIATION, HELD IN 052 MEETING ROOM 05, MINISTRY OF DEFENCE MAIN BUILDING, LONDON, ON TUESDAY 24th JANUARY 2017" (PDF). REAHQ. Archived from the original (PDF) on 30 June 2017. Retrieved 5 September 2017. ↑ "36 Engr Regt". British Army. Retrieved 13 October 2014. ↑ "39 Engr Regt". British Army. Retrieved 13 October 2014. ↑ "42 Engr Regt". British Army. Retrieved 13 October 2014. ↑ "71 Engineer Regiment". British Army. Retrieved 13 October 2014. ↑ "75 Engineer Regiment". Ministry of Defence. Retrieved 31 January 2014. ↑ "101 Engr Regt (EOD)". British Army. Retrieved 13 October 2014. ↑ "Royal Monmouthshire RE". Ministry of Defence. Retrieved 29 June 2014. ↑ "Staff Corps Membership". Ministry of Defence. Retrieved 31 January 2014. ↑ "The Nottinghamshire Band of The Royal Engineers". Ministry of Defence. Retrieved 31 January 2014. ↑ "Royal School of Military Engineering". Ministry of Defence. Retrieved 31 January 2015. ↑ "Army Training Centre Pirbright say farewell to 76 Battery Royal Artillery". Royal Artillery Association. Retrieved 31 January 2015. ↑ "Diving Training Unit (Army)". Ministry of Defence. Retrieved 31 January 2015. ↑ "Band of the Corps of Royal Engineers". Ministry of Defence. Retrieved 31 January 2015. ↑ "Flag, Blue Ensign: Royal Engineers". Imperial War Museum. Retrieved 31 January 2015. ↑ "The Towers that Gundulf Built". Kate Shrewsday. 18 February 2014. Retrieved 31 January 2015. ↑ "The Institution of Royal Engineers" . Retrieved 31 January 2015. ↑ "Institution of Royal Engineers (InstRE)". Articles. 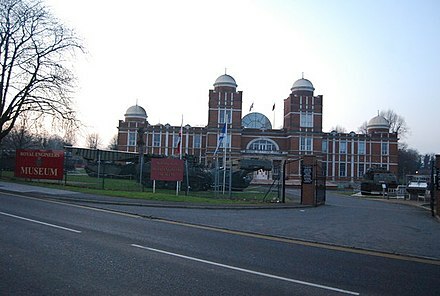 Royal Engineers Museum. Archived from the original on 1 June 2010. Retrieved 19 November 2010. ↑ "The Sapper Magazine" . Retrieved 31 January 2015. ↑ "Royal Engineers' Association" . Retrieved 31 January 2015. ↑ "Sapper Sailing" . Retrieved 31 January 2015. ↑ Wall, Sir Frederick (2005). 50 Years of Football, 1884–1934. Soccer Books Limited. ISBN 978-1-86223-116-0. ↑ Cunningham, Sam (7 November 2012). "Wanderers and Royal Engineers set for FA Cup final remake ... 140 years after original showdown". Daily Mail. Retrieved 10 November 2012. ↑ Al-Samarrai, Riath (7 November 2012). "Engineers steamroll Wanderers 7-1 in repeat of first ever FA Cup final at The Oval ... 140 years after the original". Daily Mail. Retrieved 10 November 2012. ↑ Porter, Maj Gen Whitworth (1889). History of the Corps of Royal Engineers Vol II. Chatham: The Institution of Royal Engineers. ↑ "Royal Signals Heritage". Ministry of Defence. Retrieved 31 January 2015. ↑ Aves, William A. T. (2009). The Railway Operating Division on the Western Front : the Royal Engineers in France and Belgium 1915-1919. Donington : Shaun Tyas. ISBN 978-1900289993. ↑ "Tommy's Mail & the Army Post Office". World War 1 postcards. Retrieved 31 January 2015. ↑ "Royal Engineers" . Retrieved 31 January 2015. 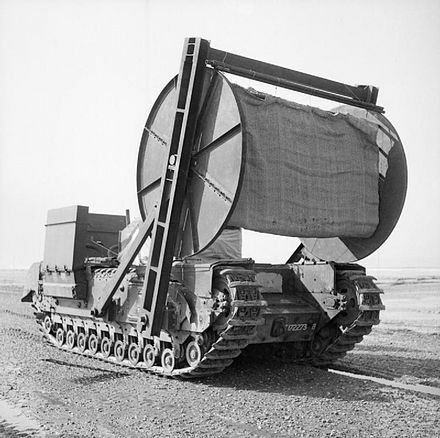 ↑ "History Section - Sappers VCs". Royal Engineers Museum. Archived from the original on 10 August 2006. Retrieved 19 August 2015. ↑ "Monument to the Royal Engineers at Arromanches Saint-Combe-de-Fresne France" . Retrieved 30 January 2015. Follow the Sapper: An Illustrated History of the Corps of Royal Engineers, by Colonel Gerald Napier RE. Published by The Institution of Royal Engineers, 2005. ISBN 0-903530-26-0. The History of the Corps of Royal Sappers and Miners: From the Formation of the Corps in March 1772, to the Date when Its Designation was Changed to that of Royal Engineers, in October 1856, by Thomas William John Connolly. Published by Longman, Brown, Green, and Longmans, 1857. History of the Corps of Royal Engineers, by Whitworth Porter, Charles Moore Watson. Published by Longmans, Green, 1889. The Royal Engineer, by Francis Bond Head. Published by John Murray, 1869. Papers on Subjects Connected with the Duties of the Corps of Royal Engineers, by Great Britain Army. Royal Engineers. Published by The Corps, 1874. Professional Papers of the Corps of Royal Engineers, by Great Britain Army. Royal Engineers, Royal Engineers' Institute (Great Britain). Published by Royal Engineer Institute, 1892. The Royal Engineers in Egypt and the Sudan, by Edward Warren Caulfeild Sandes. Published by Institution of Royal Engineers, 1937. Citizen Soldiers of the Royal Engineers Transportation and Movements and the Royal Army Service Corps, 1859 to 1965, by Gerard Williams, Michael Williams. Published by Institution of the Royal Corps of Transport, 1969. Royal Engineers, by Derek Boyd. Published by Cooper, 1975. ISBN 0-85052-197-1. The Royal Engineers, by Terry Gander. Published by I. Allan, 1985. ISBN 0-7110-1517-1. Versatile Genius: The Royal Engineers and Their Maps: Manuscript Maps and Plans of the Eastern Frontier, 1822–1870, by University of the Witwatersrand Library, Yvonne Garson. Published by University of the Witwatersrand Library, 1992. ISBN 1-86838-023-8. The History of the Royal Engineer Yacht Club, by Sir Gerald Duke. Published by Pitman Press, 1982. ISBN 0-946403-00-7. From Ballon to Boxkite. The Royal Engineers and Early British Aeronautics, by Malcolm Hall. Published by Amberley, 2010. ISBN 978-1-84868-992-3. A Harbour Goes to War. The story of the Mulberry and the men who made it happen, by Evans, J. Palmer, E & Walter, R. Published by Brook House, 2000. ISBN 1-873547-30-7. Danger UXB. The Heroic Story of the WWII Bomb Disposal Teams, by James Owen. Published by Little, Brown, 2010. ISBN 978-1-4087-0195-9. Designed to Kill. Bomb Disposal from World War I to the Falklands, by Major Arthur Hogben. Published by Patrick Stevens, 1987. ISBN 0-85059-865-6. UXB Malta. Royal Engineers Bomb Disposal 1940–44, by S A M Hudson. Published by The History Press, 2010. ISBN 978-0-7524-5635-5. The Underground War. Vimy Ridge to Arras, by Robinson, P & Cave, N. Published by Pen and Sword, 2011. ISBN 978-1-84415-976-5. XD Operations. Secret British Missions Denying Oil to the Nazis, by Brazier, C. C. H. Published by Pen and Sword, 2004. ISBN 1-84415-136-0. Blowing Our Bridges. A Memoir from Dunkirk to Korea via Normandy, by Maj Gen Tony Younger. Published by Pen and Sword, 2004. ISBN 1-84415-051-8. Code Name Mulberry. The Planning - Building & Operation of the Normandy Harbours, by Guy Hartcup. Published by Pen and Sword, 2006. ISBN 1-84415-434-3. Summon up the Blood. The war diary of Corporal J A Womack, Royal Engineers, by Celia Wolfe. Published by Leo Cooper, 1997. ISBN 978-0-85052-537-3. Fight, Dig and Live. The Story of the Royal Engineers in the Korean War, by George Cooper. Published by Pen and Sword, 2011. ISBN 978-1-84884-684-5. Stick & String, by Terence Tinsley. Published by Buckland Publishing, 1992. ISBN 0-7212-0897-5. Honourable Conquests. An account of the enduring works of the Royal Engineers throughout the Empire, by Smithers, A. J. Published by Leo Cooper, 1991. ISBN 0-85052-725-2. Never a Shot in Anger, by Gerald Mortimer. Published by Square One Publications, 1993. ISBN 1-872017-71-1. Platoon Commander (Memoirs of a Royal Engineers Officer), by Peter Steadman. Published by Pentlandite Books, 2001. ISBN 1-85821-901-9. Commander Royal Engineers. The Headquarters of the Royal Engineers at Arnhem, by John Sliz. Published by Travelouge 219, 2013. ISBN 978-1-927679-04-3. The Lonely War. A story of Bomb Disposal in World War II by on who was there, by Eric Wakeling. Published by Square One Publication, 1994. ISBN 1-872017-84-3. Bombs & Bobby Traps, by H. J. Hunt. Published by Romsey Medal Centre, 1986. ISBN 0-948251-19-0. With the Royal Engineers in the Peninsula & France, by Charles Boothby. Published by Leonaur, 2011. ISBN 978-0-85706-781-4. Inland Water Transport in Mesopotamia, by Lt Col L. J. Hall. Published by Naval & Military Press, 1919. ISBN 1-84342-952-7. A Short History of the Royal Engineers, by The Institution of Royal Engineers. Published by The Institution of Royal Engineers, 2006. ISBN 0-903530-28-7. Don't Annoy The Enemy, by Eric Walker. Published by Gernsey Press Co. ISBN Not on publication. Oh! To be a Sapper, by M. J. Salmon. Published by The Institution of Royal Engineers. ISBN 0-9524911-4-1. Middle East Movers, Royal Engineers Transportation in the Suez Canal Zone 1947–1956, Hugh Mackintosh. Published by North Kent Books, 2000. ISBN 0-948305-10-X. Mediterranean Safari March 1943 - October 1944, by A. P. de T. Daniell. Published by Orphans Press, 2000. ISBN 0-7212-0816-9. A Sapper's War, by Leonard Watkins. Published by Minerva Press, 1996. ISBN 1-85863-715-5. A Game of Soldiers by C. Richard Eke. Published by Digaprint Ltd, 1997. ISBN 0-9534264-0-8. Wrong Again Dan! Karachi to Krakatoa, by Dan Raschen RE. Published by Buckland Publications, 1983. ISBN 0-7212-0638-7. Send Port & Pyjamas!, by Dan Raschen RE. Published by Buckland Publications, 1987. ISBN 0-7212-0763-4. Highly Explosive, The Exploits of Major Bill Hartley MBE GM late of Bomb Disposal, by John Frayn Turner. Published by George G. Harappa & Co Ltd, 1967. ISBN Not on Publication. Sapper Martin, The Secret War Diary of Jack Martin, by Richard Van Emden. Published by Bloomsbury, 2009. ISBN 978-1-4088-0311-0. Drainage Manual - Revised Edition, 1907, by Locock and Tyndale. Wikimedia Commons has media related to Royal Engineers .